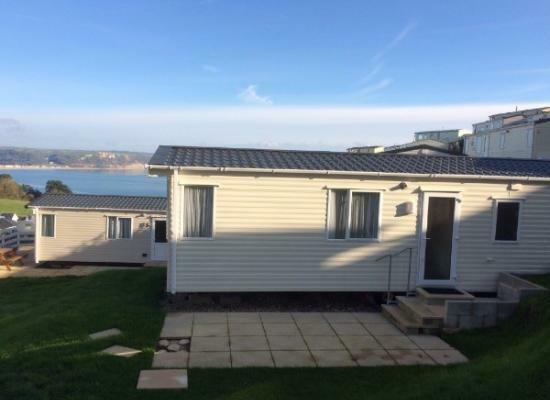 6 berth caravan overlooking Lyme Bay. The caravan has 2 bedrooms. The main with a double bed and a twin with 2 x 2" beds and sofa bed in the lounge. Plus everything you need for self catering accommodation. Our recently purchased and well appointed 'Seascape' caravan sleeps 4/5 and one well behaved pet is welcome. 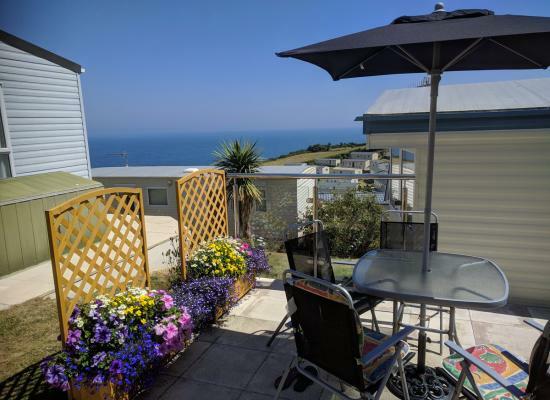 On the coastal path and close to beach and fishing village of Beer in small, friendly caravan park. Perfect for a relaxing break.